For information about the 2009 Celtic Block Party - CLICK HERE. The following details relate to the 2008 festival. Kansas City’s annual Celtic Block Party at Governor Stumpy’s on the edge of Brookside and Waldo, has grown up and is now a 2-Day Celtic Festival. The Celtic Festival takes place on Saturday, May 24 and Sunday, May 25, 2008. Saturday the Festival runs from 6-9pm and has Dan Doran scheduled to perform. Expect Van Morrison covers. Although it’s not yet posted on Governor Stumpy’s site, Kansas City’s Celtic Pub Rockers Connacht Town say that they also are playing the Festival in south Kansas City. You can see yourself where there’s a gap in the Sunday schedule of Irish music, so you work it out. 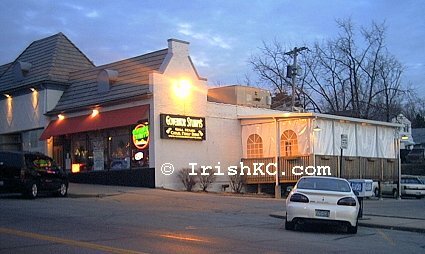 321 East Gregory in Kansas City, Missouri - that the corner of Gregory and Oak. 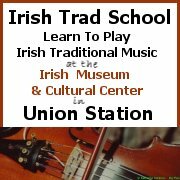 I’ve posted this Irish Festival on the Kansas City Irish Events calendar, and you can expect me to update this page nearer the time. For the pernickety name police - think the unapologetic David Shaughnessy - I’ve called this event a Celtic Festival instead of a Celtic Block Party because that is what it calls itself on Gov Stumpy’s website. This entry was posted on Thursday, April 24th, 2008 at 9:32 am and is filed under Connacht Town, Elders, Events, Festivals, Flannigan's Right Hook, Governor Stumpy's. You can follow responses via my RSS 2.0 feed. Both comments and pings are currently closed.